Panthers are leaving their marks on all industries, nationally and internationally. At FIU News, we love catching up with our alumni to see what they’re accomplishing. 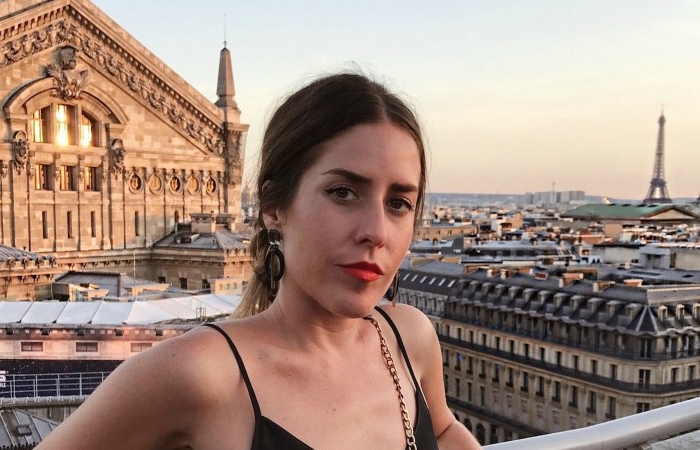 In this post, alumna Idalia Salsamendi ’05 shares how she’s flourishing in business development and brand imaging in the fashion and lifestyle industry. What were your majors, and how else were you involved at FIU? I graduated with a major in journalism and mass communication and a minor in business administration. I was also the director of public relations for Dance Marathon and vice president of recruitment for Alpha Xi Delta (AXiD). What is your current position, and how did FIU help you attain this career? Currently, I own my own consulting company, where I specialize in business development and brand imaging in the digital space. I am also the director of business development for [fashion blogger] Chriselle Lim’s company Chriselle Inc.
What I loved most about FIU was the overall culture of the establishment. Here you are in the middle of one of the most beautiful cities in the world getting an incredible education.AXiD [one of the oldest women’s fraternal organizations in the United States] was a game changer for me. It made me think outside the box and get really involved with the university. The sense of community was overwhelmingly supportive and healthy. As women, we have to lift each other up and help each other grow. What would you look for if you were in the position to hire new graduates in your field? Professionalism and stamina. I’m a firm believer in “paying dues.” Nothing comes easily. I look for people who are eager to roll up their sleeves and get their hands dirty, and, of course, at the end of the day, be grateful and happy. We are all in this together. I’m going to start dividing more of my time between Europe (Paris and Barcelona) and Los Angeles. It’s incredibly humbling to see my career bloom across the pond. Being able to offer my services to different cultures encourages me to continue in my path to help brands and influencers. The world becomes a playground. Any advice for upcoming grads? Work hard and be nice to people along the way. You’ll always attract more bees with honey. I started following Idalia on instagram. Looking at her profile, anyone can tell she knows how to have fun and work hard at the same time. It’s great to read that she went to my school! Great article! Can you please change AZD to AXiD. AZD stands for something else. Thank you, Amanda! We have updated the post.